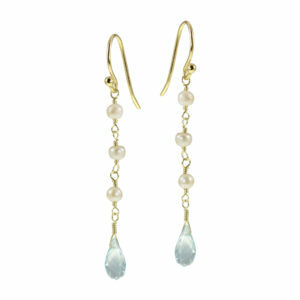 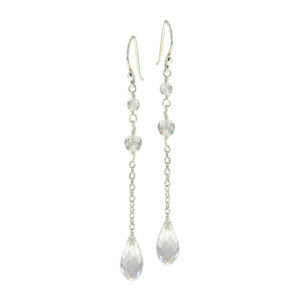 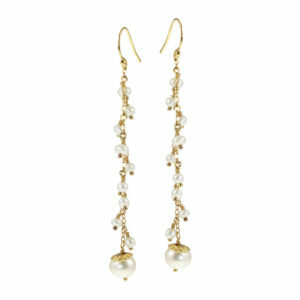 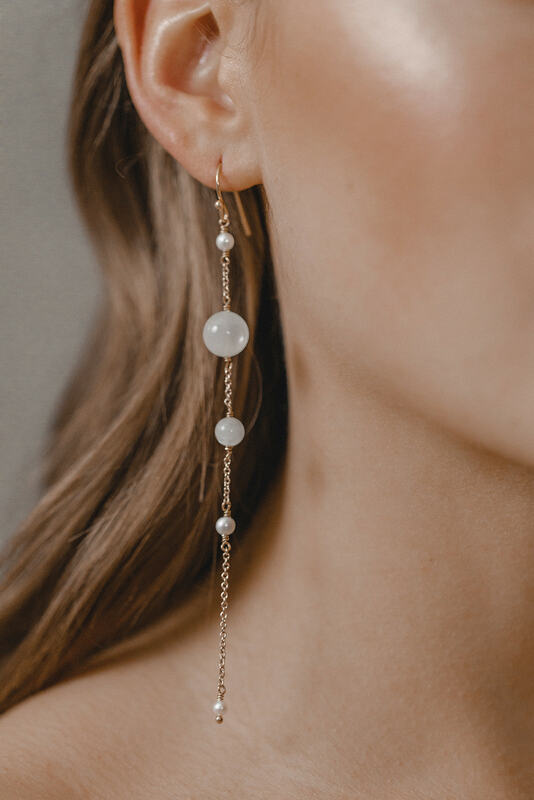 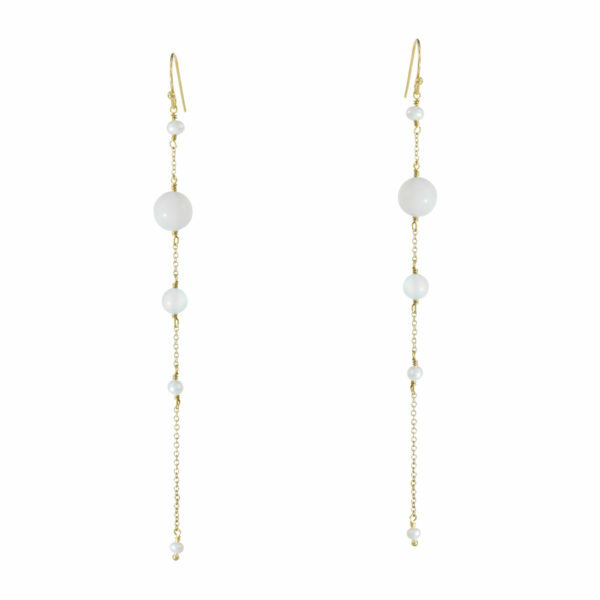 These long earrings made of differently sized freshwater pearls and white moonstones are feminine, elegant and timelessly chic. With their clean design, they complement any bridal hairstyle, creating effortless glamour without risking being too playful. 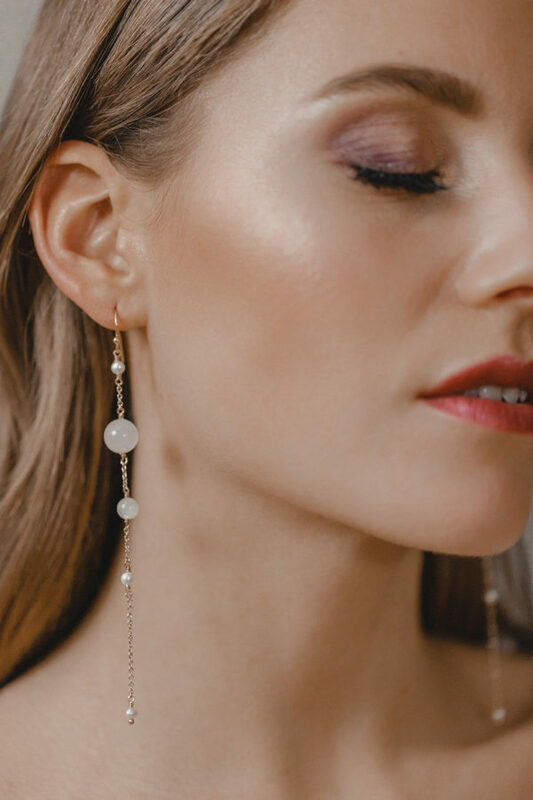 To add emphasis, combine them with an off-the-shoulder wedding dress for a glamorous look or create a feminine contrast to a white suit for your civil wedding.